There are numerous tools within Raven that allow you to add keywords for tracking in Keyword Manager. Navigate to Keyword Research > Keyword Manager. Click the Add Keywords button and add your keywords, one per line. Add tags in the Tags field to associate all imported keywords with the given set of tags. Keywords can be deleted from Keyword Manager by clicking the gear icon and choosing Remove from Manager. If you've already created a keyword list using Excel or other spreadsheet/data storage software, you can use the Table Options button to bulk add your existing data into Keyword Manager. Click Tool Options > Import Data. Click the Choose File button and browse to your CSV file. If desired, you could opt to Skip First Row by checking the box. Click the Add button to import your keywords. For more information on importing CSVs into Keyword Manager, see this related article. If you have connected Google Search Console in Raven, you have the opportunity to add keywords for tracking in Keyword Manager from the Queries section of the Search Analytics tool. If you've connected Bing Webmaster Tools, you can add keywords directly from the keyword same from Bing to Keyword Manager using the gear icon next to each keyword. If you're tracking keyword rankings in SERP Tracker, you can add those keywords from SERP Tracker to Keyword Manager. 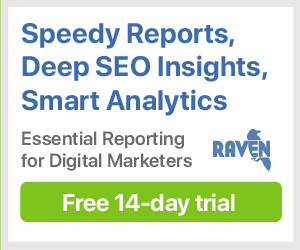 This gives you the extra value of seeing search volumes and ties into other sections of Raven, including Search Analytics and Link Manager data. If you have connected your Google Ads account in Raven, you have the opportunity to add keywords from your Search Query Performance. How do I track keywords in SERP Tracker?